Last week things finally started looking up for the US economy. Investors have started becoming less pessimistic about the debt crisis in Europe, and it seems that confidence in the market is regaining. This led to the rise of mortgage rates this week, and hopefully for the sake of the economy, the trend will keep going up. The benchmark 30 year fixed mortgage rose as high as 16 basis points last week, going up to 4.37%. Although this is a sharp rise and has been the best improvement for about 2 months, this rate still registers among the historic lows. 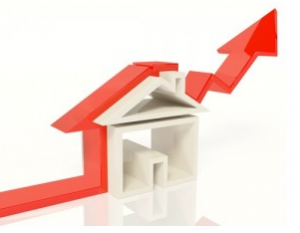 The benchmark 15 year fixed mortgage also followed suit with the rise, gaining 13 basis points to 3.59 percent. The 5/1 adjustable mortgage rate also rose 15 basis points to 3.26 percent, and jumbo 30 year fixed rates went up to 4.9 percent or 8 basis points. Again, the 30 year fixed mortgage rise is the highest we’ve seen since August 31st when the rate was also at 4.37 percent. But this still falls short since one year ago, the rate was at 4.47 percent. Despite the sharp spike of mortgage rates last week, only 27% of financial analysts predict that the rates will continue to go up. Their reason for the continued rise is the growing loan demand and the hope of improvement of the economic situation in Europe. However, 55% of analysts say that the rates will be going down because despite the hope that Europe will find a solution to their debt problem, there is still no concrete plan or evidence to back up this claim. Despite the sudden climb of interest rates for mortgages, many analysts say that the rates are unlikely to rise during the next few weeks. For those who are looking to refinance their home and who are still in the process of applying, analysts are saying that there’s no need to lose sleep over the potential rise of rates next week. However, this smorgasbord of low rates have been dangling in our faces for more than two months now, and despite the majority vote that rates will not go any higher, it is best to lock in that rate while it is still in historic lows. Even in the stock market, nobody can really predict when rates will hit rock bottom, so the best thing to do is be satisfied with the fact that the rate you lock in now has been one of the lowest in the past 50 years.